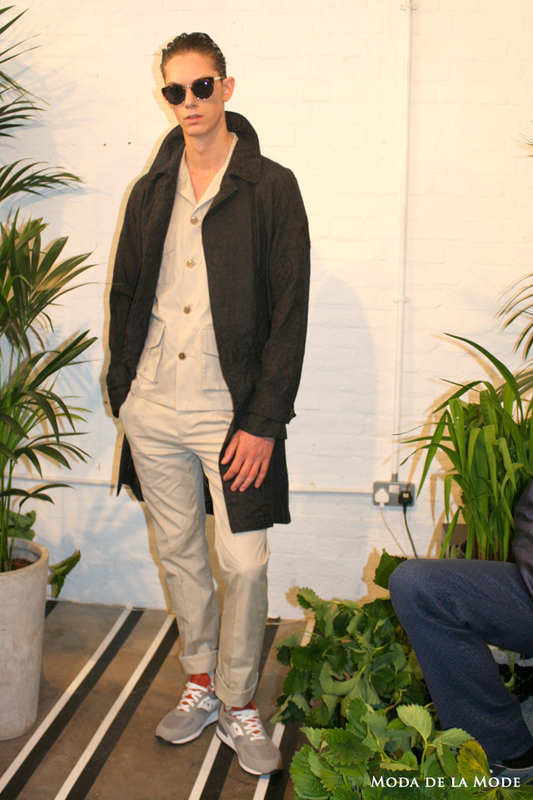 Baartmans and Siegel offered a tropical take on luxury with their Spring Summer 2013 collection titled 'South Pacific Aviation'. Inspired by adventure, exploration and hedonism the collection adapts classic military silhouettes and recreates them in peached jerseys, iridescent raw silks and perforated suede. 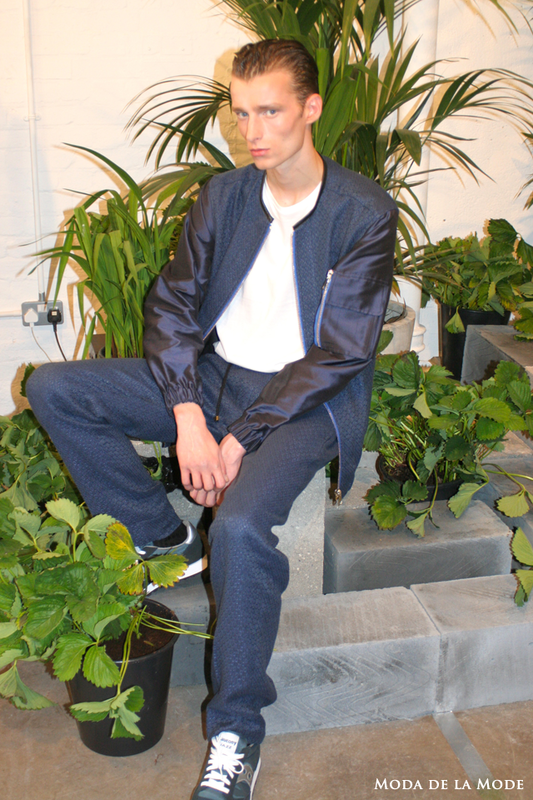 The collection was mainly comprised of navy and black garments which were occasionally broken up by a beige trouser or a shot of colour from the trainers worn by all the models. The silk skinny track pants were a statement piece from the collection, showing off Baartmans and Siegel's signature laid back vibe however it was the array of jackets which really caught our attention. Deconstructed parkas and car coats were showcased along side classic bomber jackets, a field jacket and a lounge trench. The collection was united by a strong masculine identity shown through the brooding dark colour palette and it gave hints as to what we can expect from Baartmans and Siegel in the future.